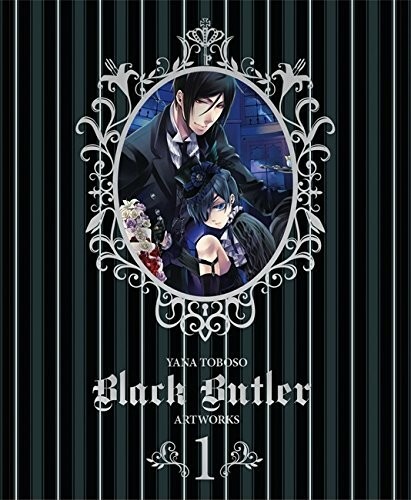 In this first-ever full-color illustration collection by manga artist Yana Toboso, the New York Times bestselling manga series Black Butler comes to vivid life. Starting at the beginning of the tale of Earl Ciel Phantomhive and his inimitable butler, Sebastian, the collection focuses on the series through the immensely popular Circus Arc. In addition to these glorious color cuts are illustrations from her debut work, Rust Blaster, as well as promotional art from Black Butler and the artist's own tribute illustrations for other popular manga series. As anyone picking up this gorgeous beribboned hardcover tome will realise, black is a colour of many facets, indeed!